The hotly anticipated jailbreak for iPhone 4S and iPad 2 is finally here, providing an untethered jailbreak for either A5-based device running iOS 5.0.1. Put together by the Chronic Dev Team who are known for making Greenpois0n, the utility is called Absinthe A5 and it is hot off the presses. Backup your iPhone or iPad before using Absinthe! This is an early release jailbreak and could have some bugs to iron out still. A Linux version will be released shortly and we’ll update when links are available. Not sure what to do? 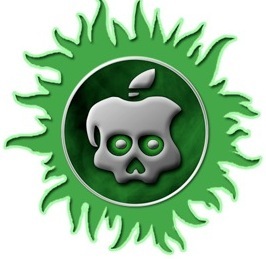 Read our guide on how to jailbreak iPad 2 or iPhone 4S with Absinthe for iOS 5.0.1, it’s very easy. Again, this is for A5 CPU hardware only, other devices can jailbreak iOS 5.0.1 with Redsn0w. The Dev Team warns iPhone 4S users who want a software unlock to stay on iOS 5.0 or build 9A405 of iOS 5.0.1. There is no expected release of an accompanying software unlock. Higher risk of fail as last jailbreaks? Jailbreaking never broke one of my devices but I’m afraid this one could, I mean, if my 4S got broken it would be worse than on my old iPod Touch. anyone elses absinthe crashing before it even opens? any ideas why? same problem, I download it and when I run the app it just crashes in Mac OS X I can’t even see the first screen. Mine crashes too. I have the same one as you Kevin. Something I previously installed on my macbook apparently interferes with absinthe and made it crash as soon as i connected the iPad. I then tried it on my spouses iMac and had no issues at all. If you don’t have access to another mac you could use a freshly installed OS. If you go to friend / neighbour remember the iPhone/iPad has to have wifi internet access to complete the process! I have osx 10.7.2 and its happening to mine too!! Wow… Happy Luner New Year! Why? What do they OWE to you? Any idea when this will be available for windows? Just want to ask, why does absinthe connect to greenpois0n database server? Thanks. Then write your own jailbreak. You get exactly what you pay for it. And I will wager you pay NOTHING, right? I jailbroke my phone without issues yesterday, until this morning when I shut it off, and tried to reboot it. Now it stays at the Apple boot screen. Anyone run into this issue? I didn’t tether jailbreak prior to running absinthe, it was a factory phone. cant install any non market app??? same prob anywhere???? Absinthe quit unexpectedly solution!! At least for me. Backup iPad. When done, go to settings (in the iPad) hit general -> Reset -> Erase all content and settings. When done, activate iPad and run Absinthe and ur good to go. Jailbreak took less than 5 min. Once Jailbroken go to iTunes, right click on iPad and hit “restore from Backup”. Hope this helps. What version of OS do you have on your computer? would it work for everyone. im running osx 10.5.8 , and i can tell you this absinthe thing is not opening on my computer!! this jailbreak is not ready yet, so everyone needs to stop wacking off to this jailbreak beacuse its not ready yet!!! and iv tried on a windows pc and the window opens, but when i click the jail break button which doesnt even light up …. i get jack piddle!!! so theres no propper jailbreak yet for ipad2… sorry to be the bearer of bad news!!! Iphone worked like a charm. Ipad 2 is having some problems. It says “ABSINTHE is now setting things up,….” But it doesn’t finish. I tried resetting the settings as discussed above. We’ll see what happens. does this work with iphone 4 and 4s? or just the 4s? can i use the same prosedure to jailbreak my iphone 3gs with the 5.0.1 softare? First time I ran this on my iPad2 Absinthe froze (no, really, it did. I wasn’t being impatient), then when I tried again I got into an endless loop where Absinthe said ‘it looks like you tried and failed, let us repair things for you’ (or words to that effect) but it just kept repeating that every time I plugged in the iPad. So I booted iTunes and did a restore from the backup I had made. Then I tried Absinthe again… worked like a dream! Now I’m back into Clydea, have re-installed Installous etc… all fine. So if you have problems it’s definitely worth persevering. Thanks to all the ace hackers for this superb (and FREE) jailbreak. when I try to jailbreak my iPad2 I get a message saying Sorry the attached device is not supported what do I do? ?